Good afternoon this is Thomas Green at ethicalmarketingservice.co.uk, this video is regarding an email I received this morning on what is referred to as the new AdWords experience. 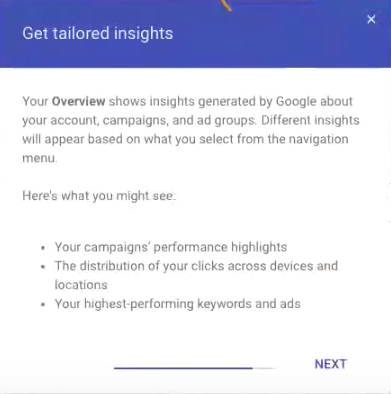 If you haven’t received this email it may be the case that in your notification settings, you’ve essentially said that you don’t want to receive promotional emails from AdWords. So this particular account that I received this email for, is not one that’s active, there’s no campaigns active in the account, so it’s just that the settings say that Google can email me regarding these types of emails. And they’re just asking for feedback on the new experience. I clicked the some features are not available link and it’s taken me to this particular article so let’s have a look this is all pretty much in real time so I haven’t necessarily prepared, so the first time I’ll see the new interface is actually the same time you guys will, which is great. 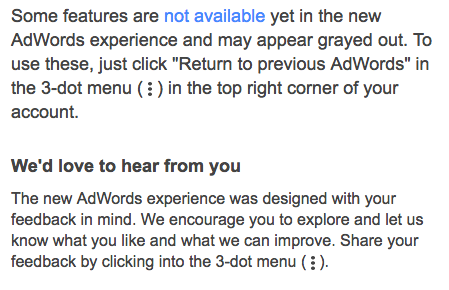 This is the list of not available features, ad extension creation is an interesting one, because that’s used quite a lot. 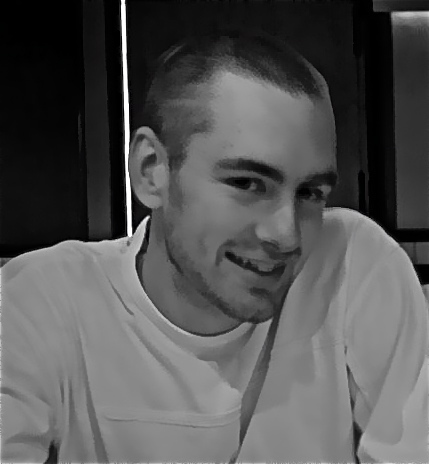 RLSA’s, remarketing and bid adjustments. 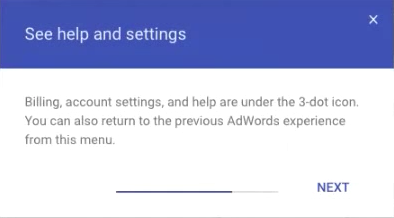 There’s quite a bit that’s not in there yet, presumably they’re just looking for feedback, so I have logged into the particular account that they sent the email to and the only thing that is different is the “try the new Adwords” in the bottom right-hand corner. I don’t have any campaigns in here because they’re all paused. They’re just asking for feedback via the link and to me it sort of looks very similar to merchant centre, if you’ve ever used that and now i’m just going to click around and see how it looks. 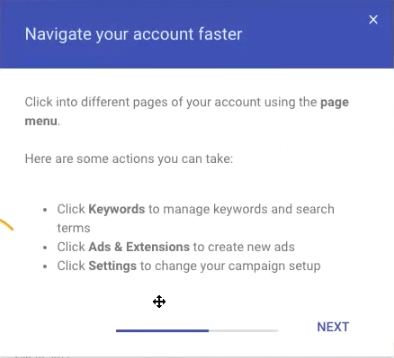 It very well might be the case that i’ll go into the existing version of Adwords and i’ll have to just try to figure out how I get back to it. 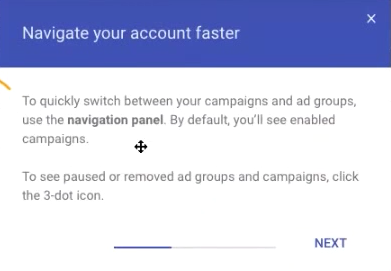 I think they’re just trying to make it a little bit more user-friendly, so I’ll be interested to see or hear what you guys think regarding the new layout. 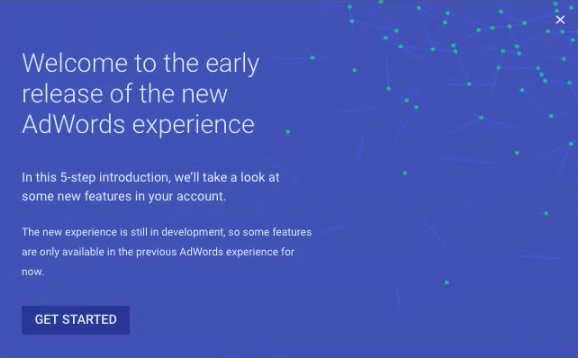 I think generally speaking if you’re used to Adwords and they’ve made a change there’s a an adjustment period, which means that everyone will pretty much hate the new the new one because they’re used to the old one. 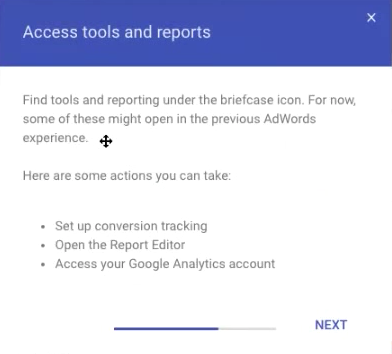 Myself personally, I use AdWords editor a lot so I’m just hoping that there won’t be any issues with uploads, meaning that when I create a campaign in AdWords editor and then I try and post it to AdWords, that there’s not loads of errors. Generally speaking no real complaints my end, so I would love to know what you think and again you can visit us at ethicalmarketingservice.co.uk regarding AdWords management and please rate and subscribe and thanks for listening. 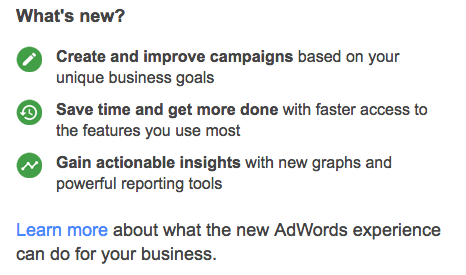 This entry was posted in adwords and tagged The New Adwords Experience. Bookmark the permalink.